Rocket League from Pysonix surprised PlayStation 4 and PC player with its intuitive mix of action-sports and driving, and the “soccer” game eventually made its way to the Xbox One and even the Nintendo Switch. But it’s unlikely we’ll ever get a full sequel. Speaking to GameSpot, Pysonix game director Scott Rudi explained that the studio’s focus is on keeping players together and engaged with Rocket League by using a games-as-a-service model, rather than trying to move them all along to a hypothetical second game. It goes to show just how successful Rocket League has been for Psyonix when you consider that this actually isn’t the studio’s first rocket-powered soccer game. Back in 2008, Supersonic Acrobatic Rocket-Powered Battle-Cars was released for PlayStation 3, but it failed to impress critics and didn’t make much of an impact. Rocket League was certainly bolstered by the decision to include it as a free PlayStation Plus title when it launched in 2015, and its crossplay with PC users has helped to keep its player count high over the years. 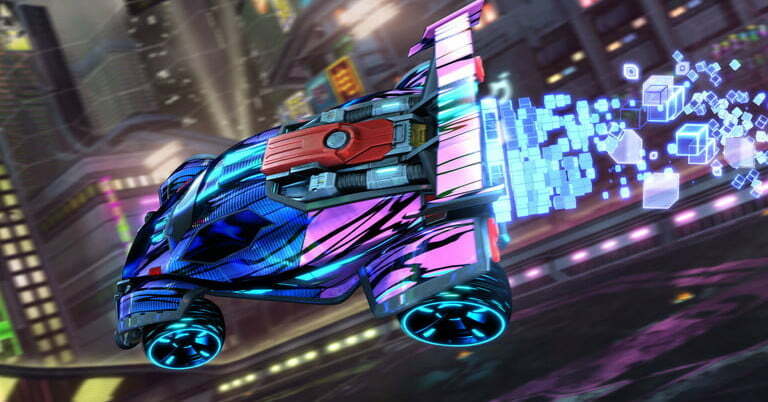 To celebrate the game’s three-year anniversary, Psyonix will be holding a special event from July 9 until July 23 that will include a special “throwback” stadium, three-on-three playlist, and new customization items. The service-based approach to multiplayer gaming has become more popular over the last few years. Ubisoft’s Rainbow Six Siege has continued to be a hit for the company nearly four years after its initial release, and Overwatch has kept players engaged with continuous content updates that being additional modes, characters, and maps. Rocket League is available now on PlayStation 4, Xbox One, Nintendo Switch, Mac, and PC. The game is currently available for just $10 on Steam and Xbox One, as well as PlayStation Store for PlayStation Plus members. A free weekend is also running on Steam and Xbox One right now, and gives you full access to all game modes.